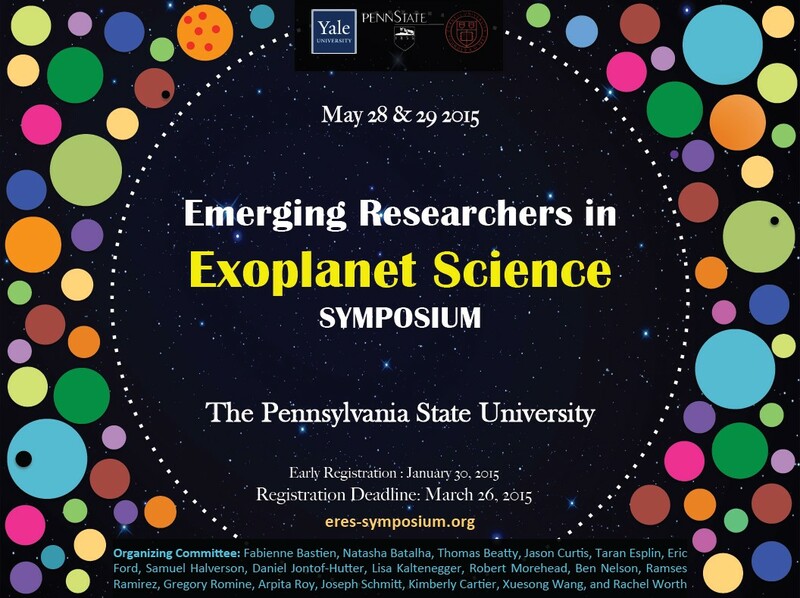 We are pleased to announce the first annual Emerging Researchers in Exoplanet Science Symposium (ERES) to be held May 28 & 29, 2015 at the Pennsylvania State University in University Park, PA. ERES is aimed at early career scientists (graduate student, postdoc, advance undergraduate) working in all branches of exoplanetary science and related disciplines (e.g., brown dwarfs, protoplanetary disks, star formation, related instrumentation and theory). 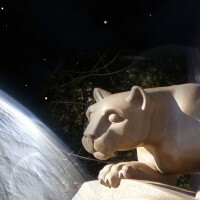 Its purpose is to give these emerging researchers the opportunity to present their research to an interested audience, to provide plenty of opportunities to network with peers, and to enhance collaborations within exoplanet community. ERES will be held annually on a rotating basis between partner institutions. We are encouraging interested participants to register by January 30th, 2015 to receive a discounted rate. The normal registration deadline and deadline for abstract submission is March 26, 2015. To register, submit an abstract and find more information about travel and accommodations, please visit the meeting website at http://eres2014.github.io/.